Age 81, of Truro died at home on Sunday January 21, 2018. She was the daughter of John and Edna (Tays) Flemming and lived most of her life in Truro. Carolyn graduated with the Governor General's medal in 1953 from the Colchester Academy. In 1956, she graduated from Dalhousie University with a B.A., the Panhellenic Award in 1954 and the Class of 1955 Female Athlete of the Year. A degree in Social Work followed from the University of Toronto in 1957. Her working years were spent with The Children's Aid Societies in Halifax and Colchester County. Her many interests included tennis. 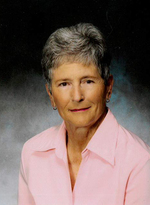 She is a member of the Colchester Sport Hall of Fame and the Truro Tennis Club Wall of Fame. She and her Halifax partner were the first Nova Scotians to win a national tennis title when, in 1950, they won the 15 and under girls doubles. Carolyn was runner-up that same year in the 15 and under Canadian singles. Her proudest moment in sports occurred at those same Canadian Junior Tennis Championships when she was awarded the Best Sportsmanship Award. Another of her interests was bridge. She was a charter member of the Truro Duplicate Bridge Club, and attained the rank of Gold Life Master of the American Bridge League. She was a licensed bridge teacher and a member of the Canadian team at the 1970 World Bridge Olympiad in Stockholm, Sweden. Some of her other interests were, golf (six holes in one), skiing, volunteering, Dragon Boat paddling, cooking, travelling and dancing. She was a voracious reader and loved harmless practical jokes. Carolyn was a member of the Bi-racial committee formed around 1970 to promote equitable racial job hiring for students. Hypocrisy, snobbery, pretentiousness and racism were on her "hate list", to be avoided at all times. Carolyn and "Lick" enjoyed many wonderful trips including a four month venture around North America in their fifth wheel and three months backpacking in Australia and New Zealand. They visited many other destinations around the world and spent twelve winters in Florida following retirement. Carolyn was predeceased by her husband Donald J. "Lick" MacDonald, daughter Jane Elizabeth, brother Harry Flemming, and brother in law Eric MacDonald, Glace Bay. She is survived by daughter Charlotte (Mike) Slivitzky, Ottawa. Sons Kenny (Petra) and Scott, Truro. Grandchildren Matthew MacDonald, Alex, Kira and Peter Slivitzky, Sarah MacDonald and good friend Don Lewis, Ottawa. There will be no funeral by request. A reception / visitation will be held at the Truro Golf Club on Sunday January 28, 2018 from 1:00-4:00pm. Any memorial donations may be made to the Colchester East Hants Health Centre, Truro Food Bank, Truro SPCA, or charity of choice.